Note: I the red chili powder can be added to taste. 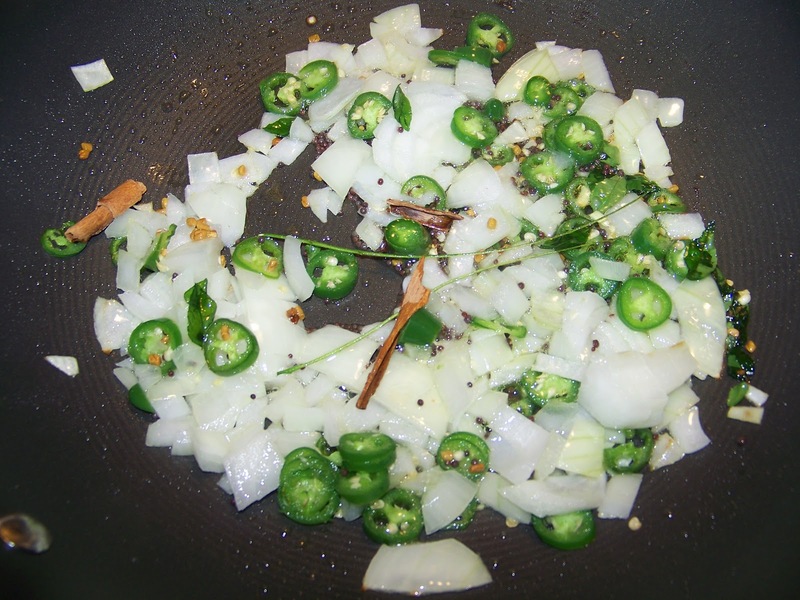 Do not use the chili powder used in American Chili Con Carne dishes. Heat 2tsp of canola oil and once heated add your mustard seeds, cinnamon stick, chilies and onions. Fry for 1-2 minutes. 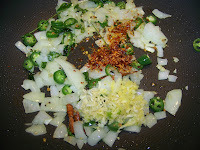 Next add your grated ginger, garlic and chili flakes. Add your pineapple, turmeric, chili powder, vinegar, salt sugar and coconut milk. Cook for 10-12 minutes. Taste for seasoning. Eat with rice and curry. Enjoy. 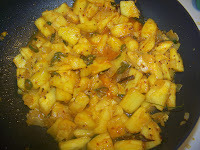 Oh, I love pineapple! I'd love to taste your curry, Ramona...mmmmmm. 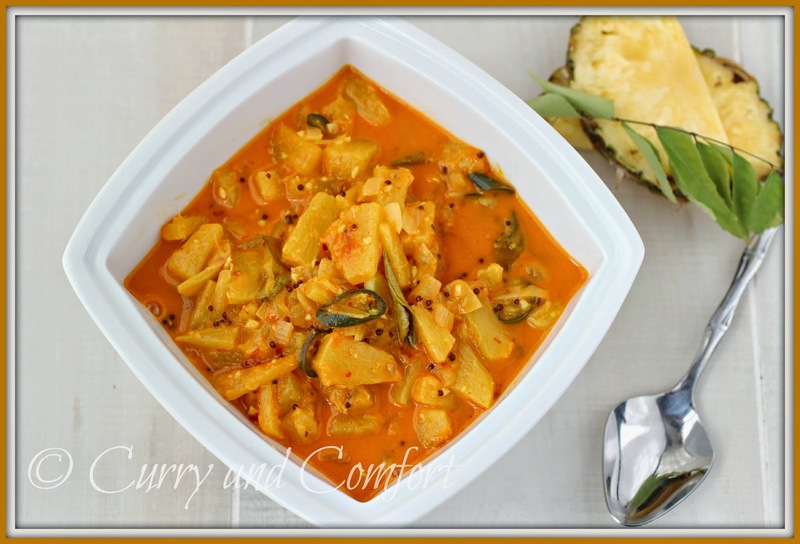 Love the fruit curry! This looks so yummy! I never tried this before, very interesting combination of flavors! Looks delicious! 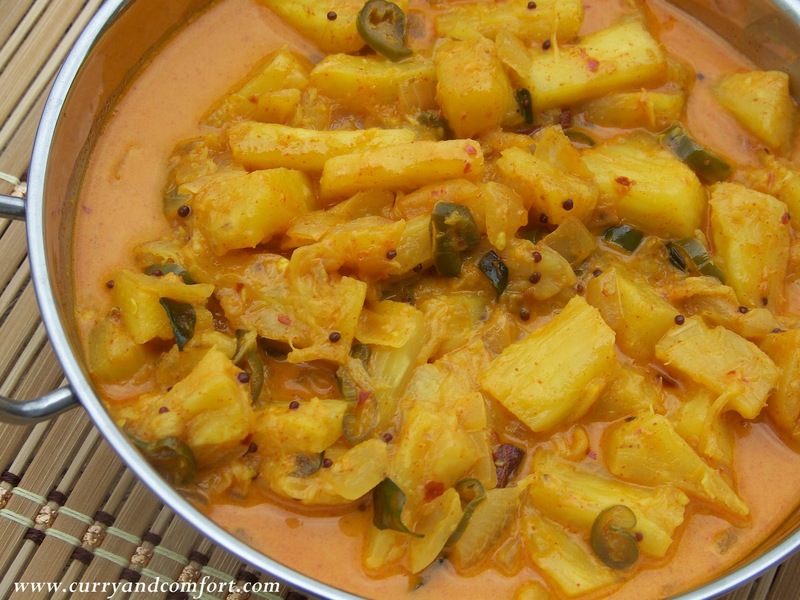 I love the color the pineapple gives this curry. It's so pretty! Sweet and Spice a great combination. I love this idea.. I almost bought a pineapple in the store few days ago. Should have! 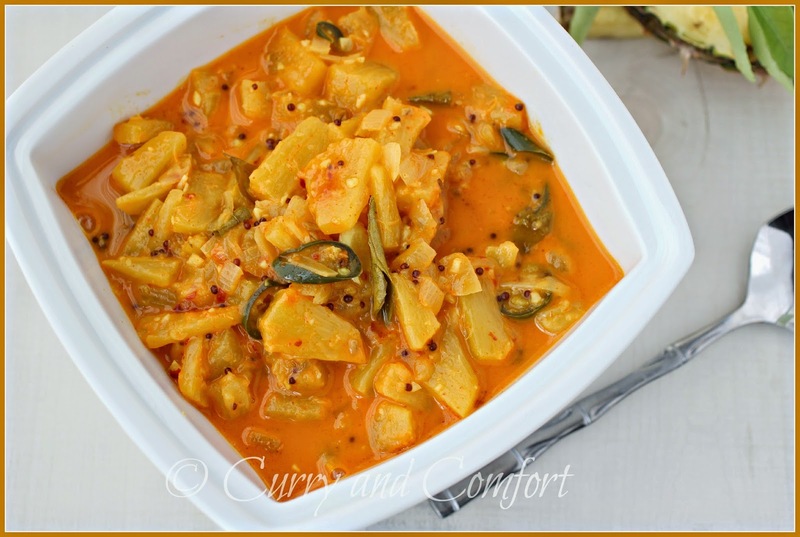 I could make your curry.. It looks so good! Sweet and spicy - my favorite! 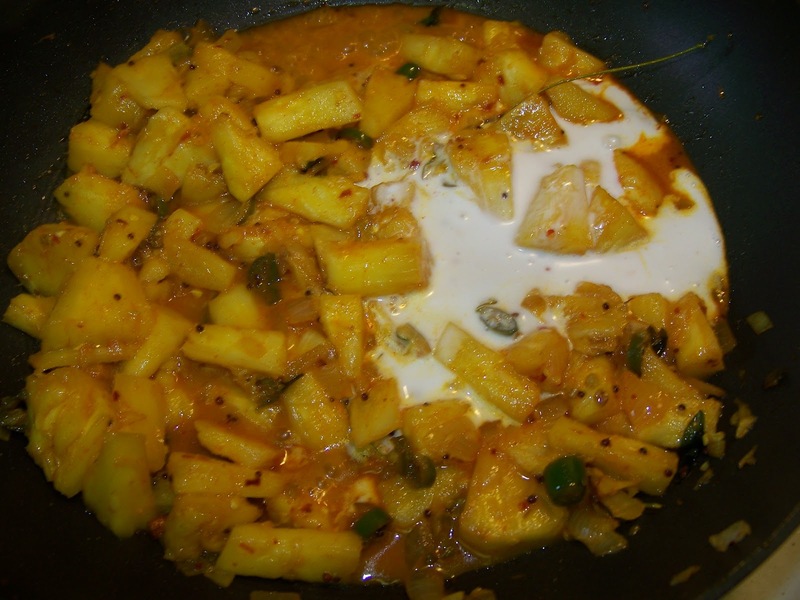 I've had pineapply as an ingredient in a curry but never as the main ingredient. This looks great! 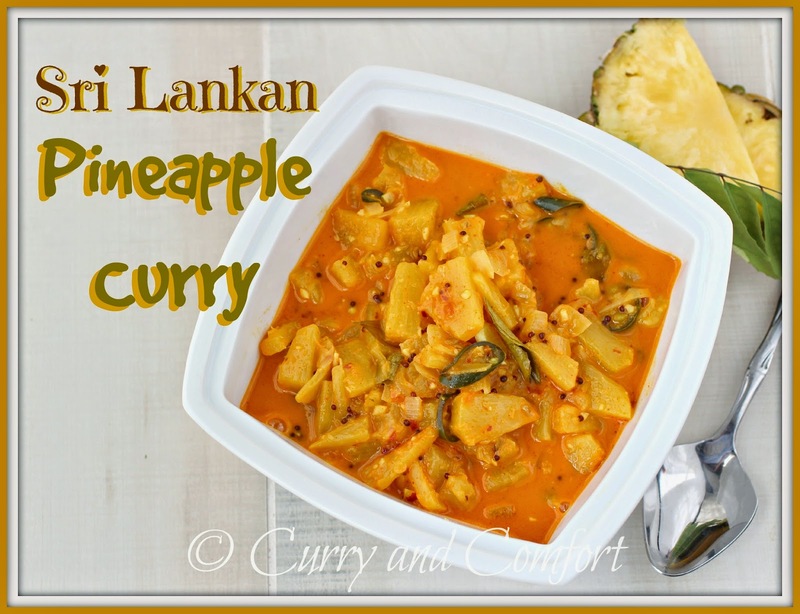 I love pineapple and this curry sounds amazing. There are those curry leaves again that I haven't yet found. Wow...sounds spicy but I like the pineapple in it. Wonderful. Hope you're having a good week, Ramona. Oh the things I would eat with this! What a great idea for a curry!!! 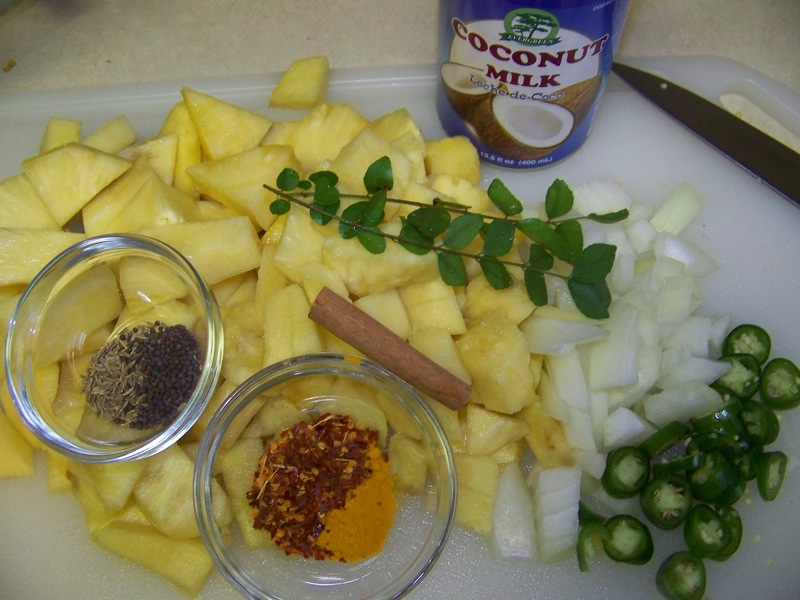 I love pineapple fried rice and have been know to add pineapple to a chicken Thai curry, but have never made pineapple the star of the show. Great dish Ramona!!! !